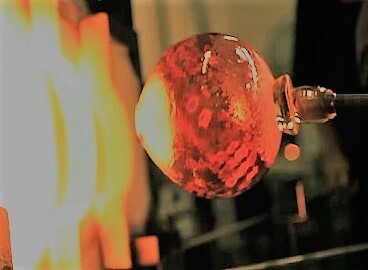 Experience the art of glass blowing in a small group setting. After covering safety rules for the studio equipment and tools, you will get to work creating a unique paperweight. Instructors will work individually with each participant to select and apply layers of color and shape the molten glass into its final form. After class concludes, your paperweight will be polished and etched with your name and date. All materials and tools are provided.